Sublimely crafted to encapsulate the very essence of fine living. Essenza Di Wills is a luxurious marque dedicated to the creation of an exclusive, international range of fine fragrances and personal care products for discerning individuals. 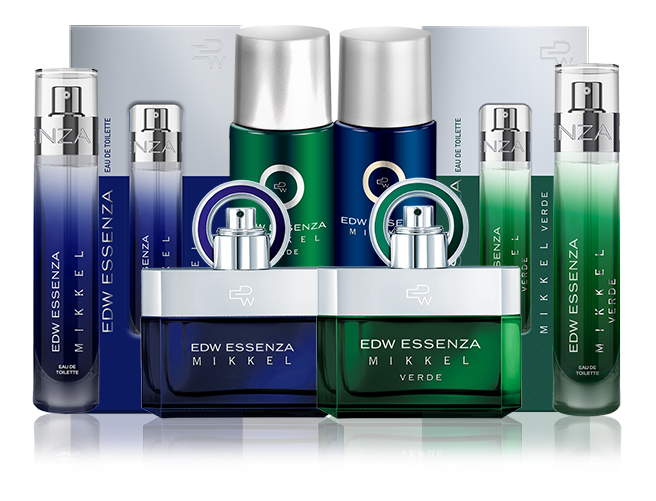 Inizio, the signature range from Essenza Di Wills, provides a comprehensive grooming regimen with distinct lines for women (Inizio Femme) and men (Inizio Homme). The rich and sensual international fragrances of Essenza Di Wills are all-day offerings created by leading French fragrance houses. The range includes a host of bath & body care products that share the same olfactory signature to offer a harmonised fragrance experience. 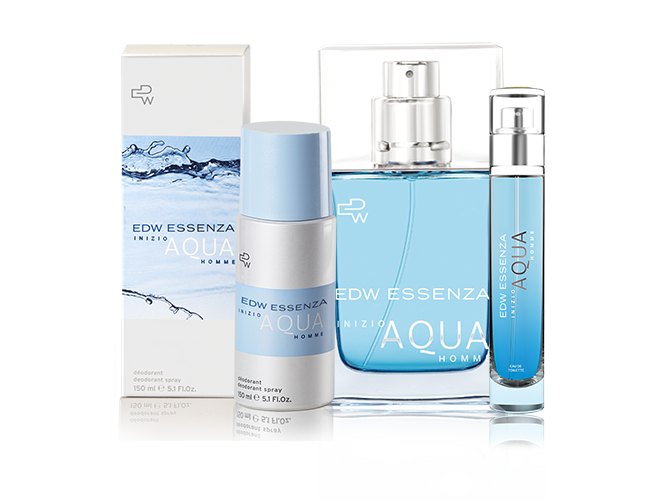 The Essenza Di Wills portfolio was enhanced with the Aqua range for men (Aqua Homme) offering a distinctive and fresh aquatic fragrance. The fragrance note revolves around "Citrus Aromatic Musky". The alliance of bergamot mandarin & Italian lemon which stimulates and re-energizes the mind. The top notes are blended with a spicy aromatic heart which burst with the energy of French rosemary, Clary sage & Tonka beans arousing vigor & pure masculinity. This is further enhanced with musky end notes which reveal the warmth of amber and vanilla creating a discreet refinement that can never go out of style. Another addition to the Essenza Di Wills portfolio is the enigmatic 'Mikkel' that embodies a fine balance between Mystery and Elegance. The sharp Lavender and Bergamot top notes blend sophistication with a hint of mystery. At the heart, sensual Neroli and serene Orange Blossom dance to an effortless tune of elegance. The rich and passionate undertones of Vanilla delicately bring out the aroma of Amber, creating an unmistakable aura. 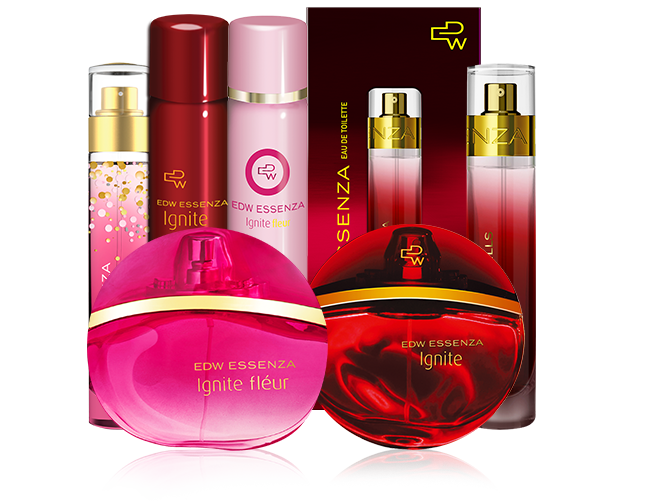 Essenza Di Wills launched a scintillating fragrance for women - 'Essenza Di Wills - Ignite'. 'Ignite combines the magic of intense sensuality, elegant sophistication and seductive attraction, to create a unique fragrance, complimenting the existing range of Essenza Di Wills fragrances. Possessing Top Notes of Black currant and Mandarin, Middle Notes of Jasmine and Violet and the base notes of Patchouli and Moss, Essenza Di Wills - Ignite is sure to help in creating that perfectly enchanting evening.